Two boys’ basketball games played respectively in the St. Paul City and Minneapolis City Conferences could be an indication of things to come in terms of competitiveness. In St. Paul, the Johnson and Harding’ contest went into overtime. In Minneapolis, North held off a well-prepared Roosevelt for a two-point victory. The clutch play of Jordan Mobley, Frost Her and Jesse Foster helped Johnson earn an 81-71 overtime victory over Harding in a matchup between the Eastside rivals. The game was played in a packed gymnasium at Johnson High School as fans watched the Governors overcome a double-digit deficit to force the OT and eventually defeat the Knights, outscoring them 19-9 in the extra period. Harding, jumping out to a 28-22 halftime lead, was led by senior Tierre Davis’ 24 points. Fellow classmate Jovan Christian had 22, junior Simeon Sharp — the Knights’ current leading scorer — added 11, and senior Alex Addai chipped in 10. Mobley, a senior guard led Johnson — the defending St. Paul City Conference champion —with 21 points. Junior guard Larry Harris contributed 14, fellow 11th-grader Jesse Foster had 12 while classmate Jeremiah Knox added 11. 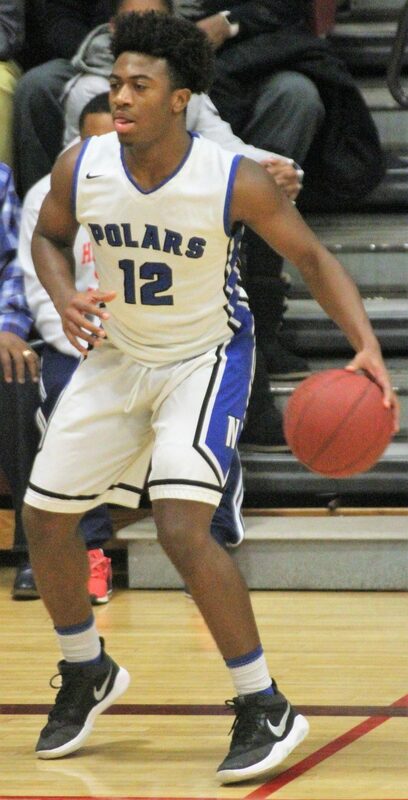 Clifford “CJ” Brown only scored five points in Minneapolis North’s 61-59 win over City Conference rival Roosevelt, but the victorious Polars got them when it mattered. The sophomore guard hit two clutch baskets to seal the win over the Teddies, who might have served notice that the City Conference could be a little more competitive than it has been in the last couple of seasons. North, playing their third game in four days, got a leading 13 points from senior Eli Campbell and 11 from fellow senior Nasir El-Amin. Senior guard Dezsi Sims led Roosevelt with 17 points. Abdikani Abdi had 15, and Feysal Yusuf added 11. North is the five-time defending Minneapolis City Conference champion.Dr.